Come in and taste as many flavors as you’d like! Our classic Italian Ice flavors, with a rich and smooth texture, are sure to bring you back to your childhood. We have perfected the classic flavors like a traditional Lemon ice and Rainbow italian ice. You can also try some of our newer flavors for a modern twist on the traditional Italian Ice, like Mango and Sour Apple. We also have delicious Sugar-Free Italian ice flavors. We make our Creamy Ices with a non-dairy creamer and a special process to achieve a richer taste and texture as a step up from traditional Italian Ices. 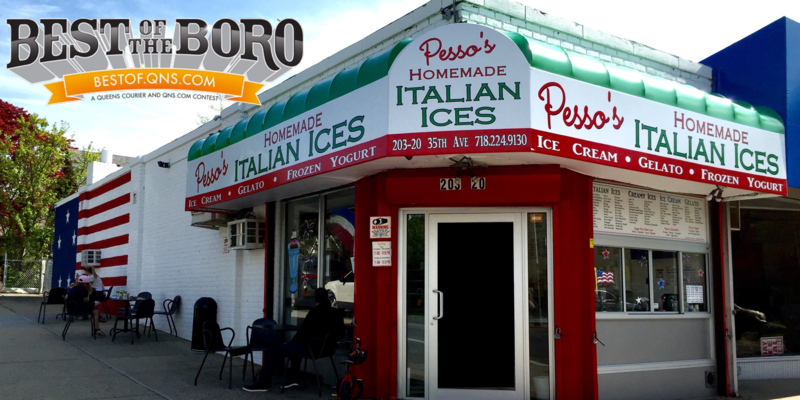 All of our italian ices are made right in our store in Queens, New York. Our rich and creamy homemade ice cream is made in small batches right in the back of our store in NYC. Be sure to taste our new flavors as well as the classics like Coffee Ice Cream. We also have delicious seasonal ice cream flavors like Pumpkin Pie and Apple Pie. Gelato is the Italian version of Ice Cream. Ingredients are imported from Italy, creating an incredibly flavorful treat which rivals that from the streets of Venice. Some of our most popular flavors are our classic Hazelnut and Pistachio gelato, but our new flavors like Salted Butter Caramel Gelato have become extremely popular too. We make our Gelato in small batches in our store in Bayside, New York, switching out flavors as we craft new ones.